WASHINGTON — The United States is retaliating against Russia by forcing closure of its consulate in San Francisco and scaling back its diplomatic presence in Washington and New York. The State Department said Thursday that the move is in response to the Kremlin forcing a cut in U.S. diplomatic staff in Moscow. Spokesman Heather Nauert said the action brings the U.S. and Russia into "parity," with each having three consulates in the other country. Moscow forced the cut in American diplomatic staff earlier this year in retaliation for U.S. sanctions. Washington had to reduce its diplomatic staff by 755 people. The Russian offices must close by Saturday. The order affects Russia's "chancery annex" in Washington and a "consular annex" in New York. Russia's foreign minister voiced regret about the U.S. decision to close its consulate in San Francisco and scale back two other diplomatic offices. Russia says Foreign Minister Sergey Lavrov "expressed regret about the escalation of tensions in bilateral ties" in a phone call with Tillerson. The Russian Foreign Ministry said Lavrov argued it wasn't Russia that started the escalation. 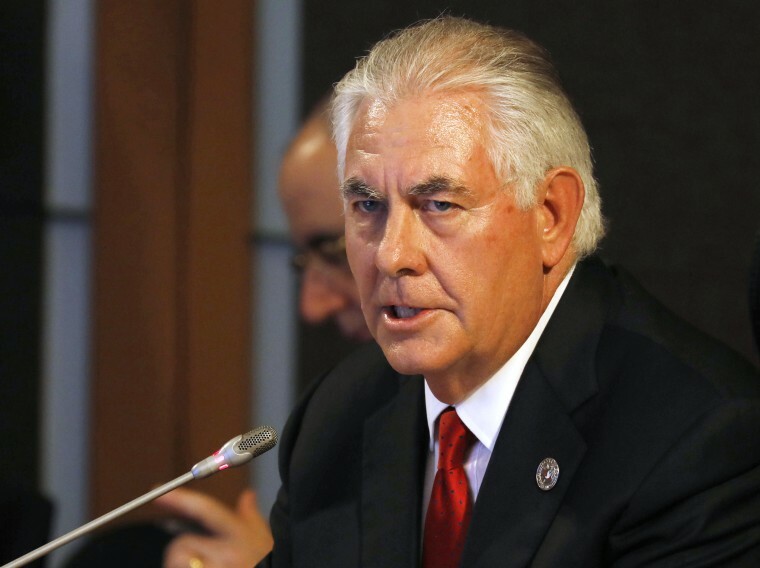 The ministry said Tillerson called to tell his Russian counterpart about the U.S. move. The U.S. said Russian diplomats who work at three diplomatic facilities being closed by the U.S. can be reassigned to other Russian consulates or posts in the United States. A senior American official said the U.S. has told Russia it isn't kicking any diplomats out of the country. The official said Russia will continue to own the buildings that house the Russian posts. The official adds that Russia can sell the buildings or otherwise dispose of them. One is leased.